If you’re heading to Las Vegas for the 2017 California Society of Health-System Pharmacists Seminar, be sure to stop by Intelliguard® RFID booth #309 to see us. We look forward to meeting friends new and old, learning what you’ve been working on and discussing how we can help you achieve your pharmacy’s goals! Don’t miss your chance to try the exciting new solution that’s reinventing medication and narcotics management in the OR: the Intelliguard Linked Visibility Inventory System™ (LVIS™.) 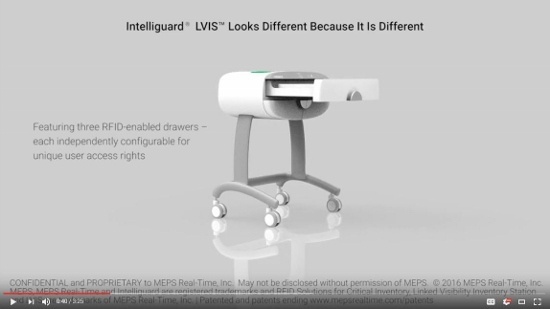 The Intelliguard® LVIS™ is the first real-time inventory management system that operates at the point-of-care to provide accurate, data-driven processes, without impact to anesthesia care team workflows. Using patented and exclusive RFID technology, the Intelliguard® LVIS™ automatically collects actionable medication inventory data at the point-of-care, without requiring manual counting, paper recording or item level scanning. Visit booth 309 at CSHP to discover your passport to enterprise-wide inventory visibility and learn more about the Intelliguard® RFID full suite of modular, scalable solutions for hospital pharmacy automation. Whether you are challenged with managing the operating room black hole, finding recalled inventory, or monitoring temperature sensitive items, we are here to help. If you can’t make it to Las Vegas, or would like to contact us directly to learn more or set up a live demo at your hospital, contact us. We’d love to hear from you.